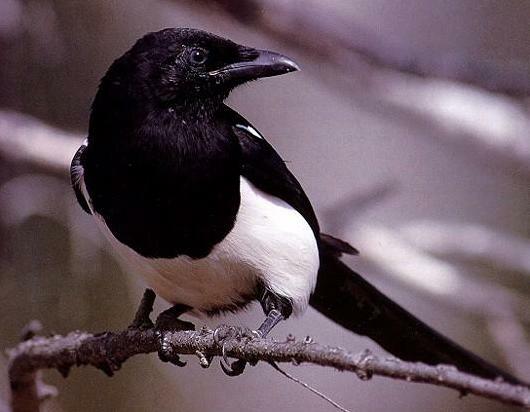 How many people can't see a magpie without singing the ditty from the children's show 'Magpie' to themselves? Probably all those under 30, or whenever the show came off the air. I have not been counting them, even subconsciously recently because the only thing I wish to do right now is take an air rifle to them. The evenings here are deafening, and it's not because of joyous footie fans. We have the racket made by billions of cigales and the screeching hysteria made by a number of magpies who are singing their songs d'amour in the pine trees opposite the house. I tell you, last night we had to almost shout to make ourselves heard above the din. Then again this morning those wretched birds started squawking at dawn which is horrendously early, being only early July. I kept telling Ulysse to go and do his cat thing, and catch himself some breakfast, but he just looked straight through me and went to guzzle his Hills Science Diet. Pah! Oh goodness. Mind you, if you'd said Good-morning-Mr-Magpie, Good-morning-Mrs-Magpie (Bonjour M. Pie, etc.) the requisite number of times there wouldn't have been any of this trouble with your CT.
French magpies respond positively to swearing, but you may have to provide your neighbours with earplugs. In fact you could save a lot of time and irritation by wearing them yourself. I'm in desperate need of a cuppa! Tony Bastable, Susan Stranks, Mick Curly Hair... what was his name? I loved Magpie, because it was so much sexier than goody two shoes Blue Peter. I can still see that Thames TV screen thingy - the one with St Pauls Cathedral reflected in the Thames - and hear that "BARR ba, BARR ba, BARR barr di barr" music they played before any programme. Ah. All our yesterdays.